Every day someone shares a remarkable Gilgal story. A story of hope. A story of transformation. A story foundationally rooted in this one truth — CHANGE HAPPENS AT GILGAL! CLICK HERE to read some stories from residents, staff, volunteers and partners connected to our ministry. CLICK HERE to view videos from our founder and others. CLICK HERE to read the story of how Gilgal was started. Change really does happen at Gilgal! Be sure to tell us how you’ve been a part of it! 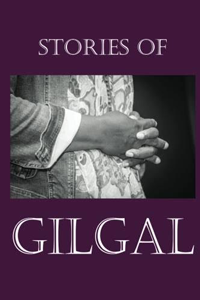 DO YOU HAVE A GILGAL STORY? If so, share it with us. We want to give God the glory for all He is doing to transform lives through Gilgal. Change happens at Gilgal and you are a part of it! JUST COMPLETE THIS FORM TO SEND US YOUR GILGAL STORY!